Using maggots to clean wounds is a practice that has been around for thousands of years. With the introduction of antibiotics, that practice has ceased, but it may be worth another look, according to a study conducted by a team in France. The study has shown that at least for some types of wounds, maggots may be a better treatment than surgery. 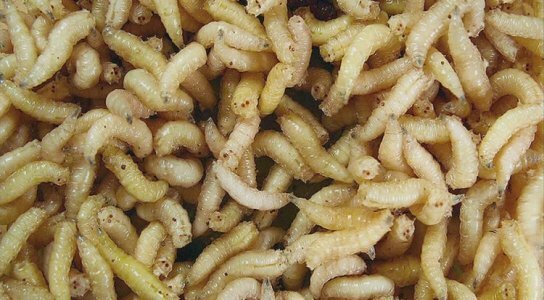 Maggots grow into adults by eating the meat that they have hatched in. They do this by secreting a substance into the dead tissue that helps to break it down first. Then they eat this broken down tissue. When in a wound, the maggots do the same thing, eating dead flesh while leaving healthy flesh alone. To study this, the team put 119 men into two separate groups. One group got typical surgery for their wound, while the others were treated with maggots. Both were kept in the hospital for two weeks and both were blindfolded during their treatment to insure accurate results. Interestingly, the maggot group reported the feeling of crawling in their wound and less pain. The team discovered that those who were treated using maggots showed better results at the end of the first week for the most part. After that, there was no noticeable difference in the two procedures. Better results in this study meant there was less dead matter in the wound and more healing. 54.5% vs 66.5%, which is quite a good number. More studies need to be done, but it is looking like maggots may be a better alternative to surgery. 1 Comment on "Maggots May Clean Wounds Faster than Surgery"